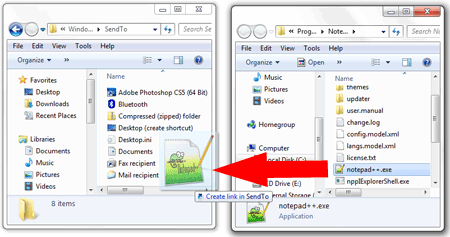 How to Add an Item to Windows 7 Send To Menu; In the following simple solution, I cover the process of customizing a Windows Vista or 7 Send To Menu. For example, I find the Right Click – Send To feature particularly useful for sending multiple images to photoshop for editing, however, photoshop isn’t on the send to list, so I had to add it. Once finished, when you Right Mouse Click and select Send to, you should be presented with the new items you have added to the shortcut list.